is this place good? has anyone had any bad experiences? Same. 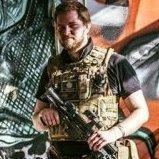 I checked out their website, and I found it funny that they called themselves the UK's "leading airsoft gun supplier", but I'm pretty sure no one has heard of them.